When using Proptional Editing while setting 3D Cursor as pivot point, the radius takes 3D Cursor as the visual center, not the active element, which is kind of misleading. No example file needed. I think this more on displaying rather than the functioning? Thanks for checking. 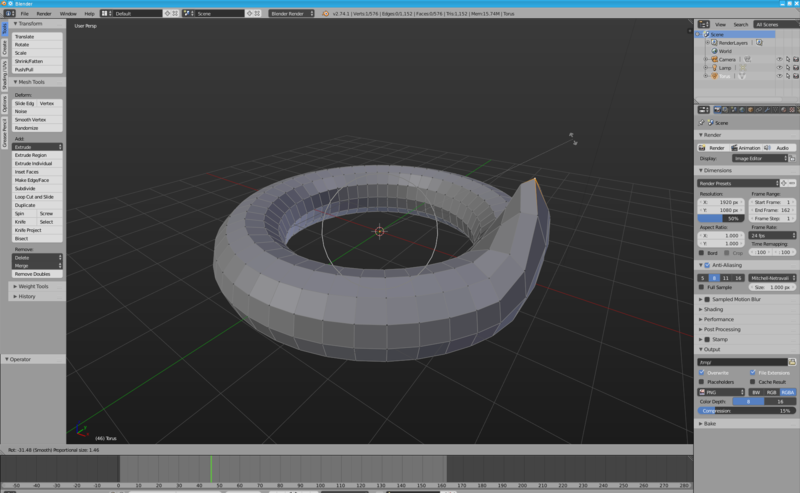 Leon Cheung (leon_cheung) added a project: BF Blender. Leon Cheung (leon_cheung) set Type to Bug. Can confirm that and will have a look. This is a bit odd but working as intended. the proportional edit center just happens to use the pivot point. @Campbell Barton (campbellbarton), I don't quite understand "the proportional edit center just happens to use the pivot point." In fact, the operating center is still on active element, not using the pivot point. Please correct me if I didn't follow you well. @Julian Eisel (Severin), the active vertex here is not special - you could have many randomly selected vertices and in this case it would have to calculate some median center. Currently - the manipulator and PET - draw at the pivot. Said differently - there is no attempt for the PET circle to follow the selection - it uses the pivot.